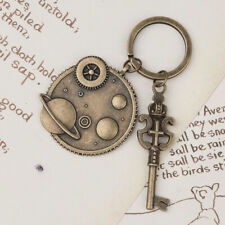 Antique Bronze Galaxy Moon, Key, Cogs Key Ring. Large Steampunk. 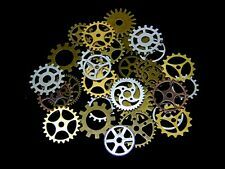 20pcs Bronze Watch Parts Steampunk Cyberpunnk Cogs Gears DIY Jewelry Craft. 1 Bag of Charm Gear Pendants. Material: Alloy. Note: The real color of the item may be slightly different from the pictures shown on website caused by many factors such as brightness of your monitor and light brightness. The price is for ONE order with 100g, about 70 pieces. Color: Antique Copper. The price is for ONE order with 100g, about 70 pieces. Color: Antique Bronze. Steampunk Cogs Cyberpunk. 25g of mixed Tibetan Cogs Gears. SILVER COLOUR. SIZES RANGE BETWEEN 19mm-25mm wide. 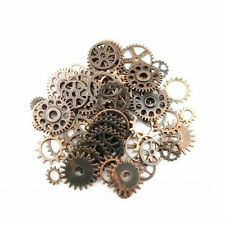 20pcs Bronze Watch Parts Steampunk Cyberpunnk Cogs Gears DIY Jewelry Craft. 20pcs in 1 bag. 1 Bag of Charm Gear Pendants. Material: Alloy. Note: The real color of the item may be slightly different from the pictures shown on website caused by many factors such as brightness of your monitor and light brightness. 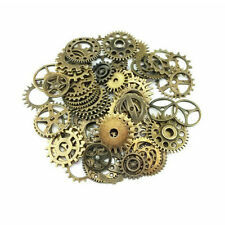 10 pcs 14mm Antique bronze Steampunk Gear Pendant. 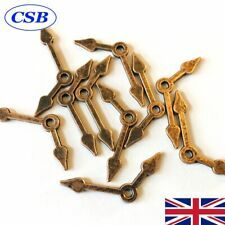 20pcs Bronze Watch Parts Steampunk Cyberpunnk Cogs Gears DIY Jewelry Craft. 20pcs in 1 bag. 1 Bag of Charm Gear Pendants. Note: The real color of the item may be slightly different from the pictures shown on website caused by many factors such as brightness of your monitor and light brightness. Second photo gives an example of exactly 84 grams so you can judge the amount of parts you will get. Your variety will be very similar but not identical to the photo. Made including 14-20 diferent types and 5 colors. The price is for ONE order with 100g, about 70 pieces. Note: We also got antique bronze, red copper, and golden color. Wholesale Findings ~10 pc. otal of 10pc. .You cant go wrong with this low Wholesale price.You will love these! The are imperfect because they crystals may be uneven or band may have flaws or uneven etc. Otal of 15pc. .You cant go wrong with this low Wholesale price.You will love these! Wholesale Findings ~15 pc. 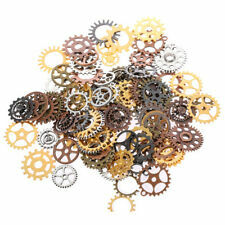 Type Steampunk Cogs. MPN Does Not Apply.